Applicants are invited to apply for a PhD position in linguistics at Stockholm University, Sweden. The funding allows successful candidate to work for four years. Applications are welcome before October 15, 2018. The Centre for Research on Bilingualism was formed in 1988 and provides a broad base of theoretical and practical research with the aim of increasing understanding and awareness of bilingualism. 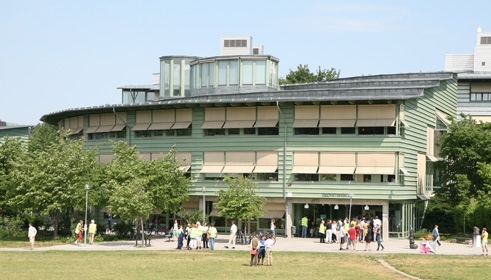 The Centre is a cross-linguistic and interdisciplinary unit within the Faculty of Humanities Language Sciences section at Stockholm University. Research at the Centre forms a significant part of Stockholm University's leading research area Bilingualism and Second Language Acquisition. Research areas include bilingualism and second language acquisition, language processing and the bilingual brain, multilingualism and diversity, bilingualism in the family, bilingual education, Swedish as a second language for children and adults, young people's languages and language use in multilingual contexts, second and foreign language teaching, L1 attrition and reactivation in bilinguals, language maintenance and language shift, language ideology, language policy, and multilingualism and education in developing countries. In sum, the Centre's research covers the sociolinguistic, pragmatic, structural, psycholinguistic, cognitive and neurolinguistic aspects of bilingualism. Please note that doctoral program in bilingualism includes mandatory courses, that together cover a wide range of areas in bilingualism research (including courses that fall outside the student's own specialization), as well as elective specialization courses. More information here: www.biling.su.se/english/research/phd-studies. As a PhD student at the Faculty of Humanities, you have the opportunity to participate in the Faculty's Doctoral School, which offers themes and courses characterized by interdisciplinarity and cooperation across subject borders. The Doctoral School also gives you the chance to improve the quality of your education thanks to the interchange provided by the community of PhD students from other subjects and departments. The Centre for Research on Bilingualism announces 1 place in the PhD program in Bilingualism, with a specialization toward the sociolinguistics of multilingualism and diversity. We welcome especially applications where the research proposal falls within he field of transnational multilingualism and is framed as a Linguistic Ethnography (although these are not requirements). In order to meet the specific entry requirements, the applicant must have completed at least 30 ECTS within second-cycle courses with a specific focus on bilingualism, second language acquisition, translation or interpreting studies, linguistics, another linguistic field or non-linguistic field using a linguistic approach, including a thesis of at least 15 credits. National or international students must be able to show equivalent qualifications. For more information, please contact Professor/Director Niclas Abrahamsson, telephone: +46 8 16 39 19, niclas.abrahamsson@biling.su.se or the Director of PhD Studies Jos Alemn Ban, telephone: +46 8 16 34 73, jose.aleman.banon@biling.su.se. - A research proposal which gives a brief outline of the planned research. This should be about 5-7 A4 pages, single-spaced (about 10,000-15,000 characters including spaces). The proposal should include a motivation, demarcation of the study, state-of-the-art literature review, purpose, and methodological and theoretical underpinnings.